Going back to those Baked Bun with BBQ Pork (P145), I am proud to say that they have vastly improved since Tim Ho Wan first opened in the Philippines. 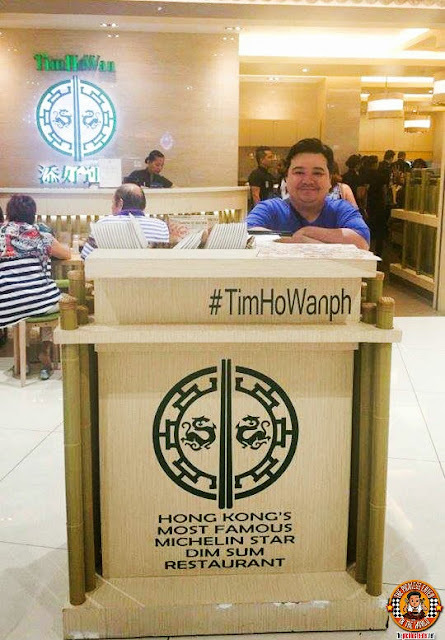 I gave Tim Ho Wan a little bit of leeway when I first tried it because I was part of the group that tasted the Pork Buns on the first day that they opened. Although taste was spot on, I found that the amount of filling seemed significantly less then Hong Kong version I tried, leaving the bun a little bit more hallow. Thankfully, they finally got the filling to bun ratio just right. 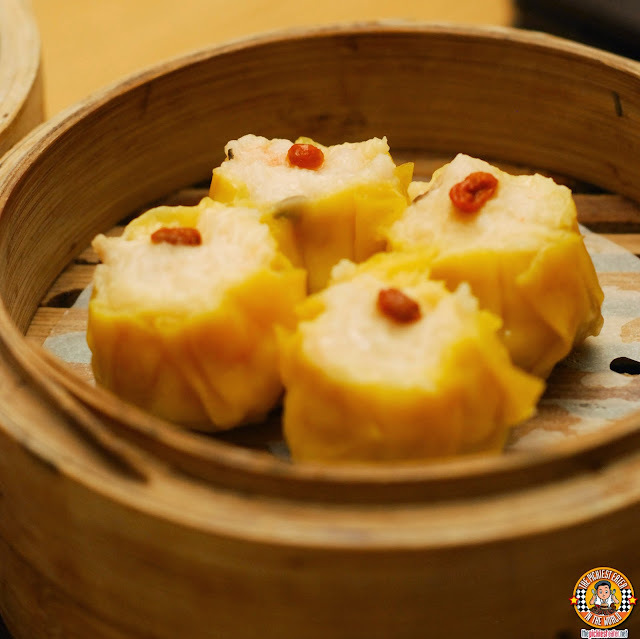 One of Tim Ho Wan's specialties, (even considered as one of the restaurant's "Four Kings") is the Vermicelli Roll with Pig's Liver (P150). 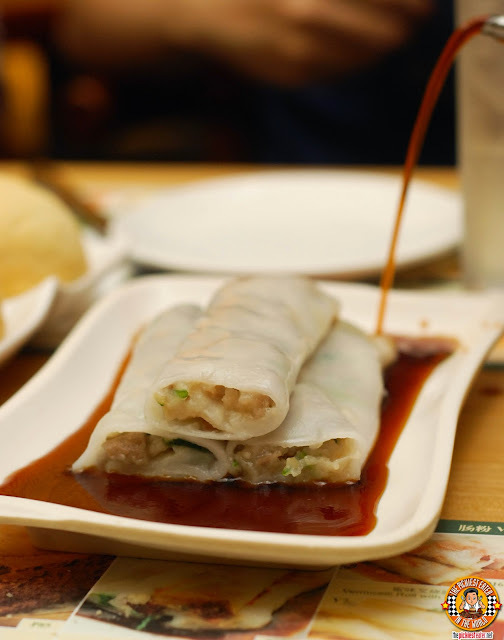 Though it's a popular item on the menu, I actually prefer the Vermecilli Roll with BBQ Pork more, especially with that delicious sauce that they generously pour over the rolls before you dig in. 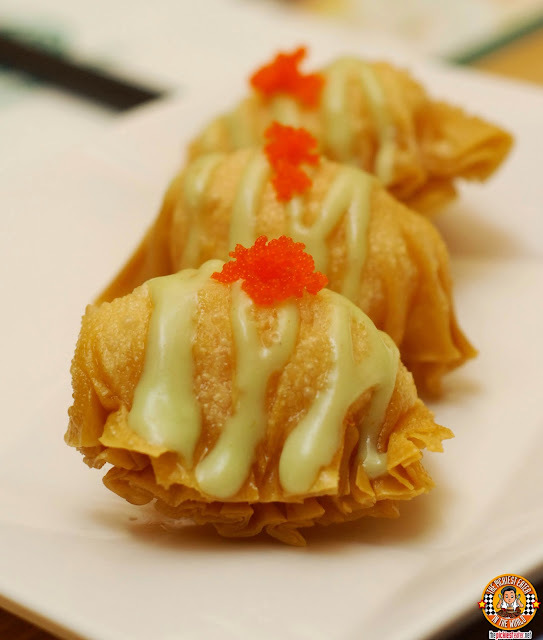 Next we were served two of Rina's favorite dishes from Tim Ho Wan: Namely the Wasabi Salad Prawn Dumpling (P140)..
and her ultimate favorite, the Prawn Dumpling (P160), which she demanded I order for take out hehe. 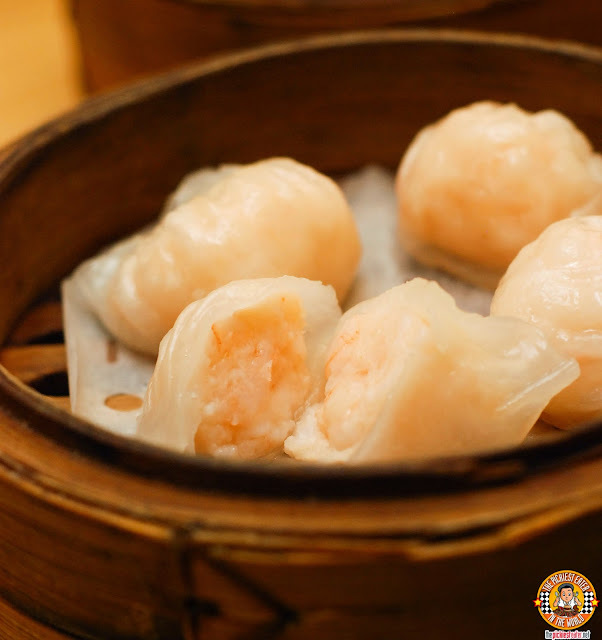 As I mentioned in my First Tim Ho Wan Post, their Pork Dumpling with Pork and Shrimp (P150) easily ranks among the best you'll find in the metro. 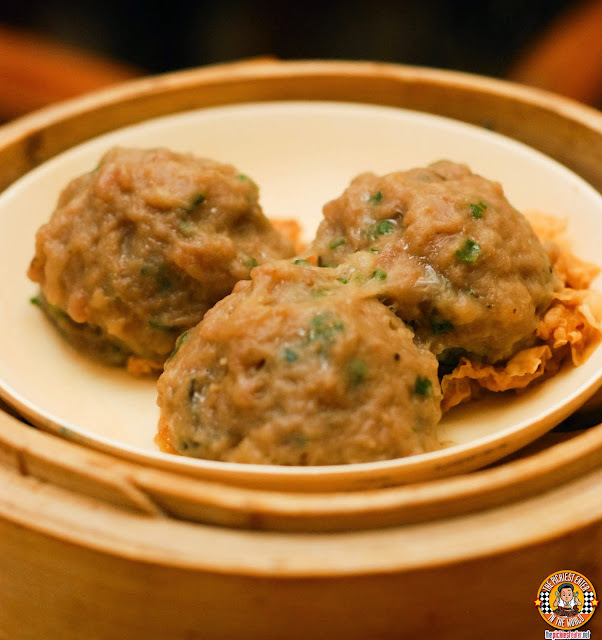 If you asked me what the status is between me and the Beef Ball with Bean Curd Skin (P120) is, the only answer I could give you is, "It's Complicated", The steamed beef had a strong, almost herbal fragrance to it, that made it a tad cloying, but within minutes you find yourself reaching for another bite. I honestly didn't think I would enjoy the Beancurd Skin Roll with Pork And Shrimp (P120), let alone it become one of my favorite dishes in Tim Ho Wan, but that's exactly what happened. 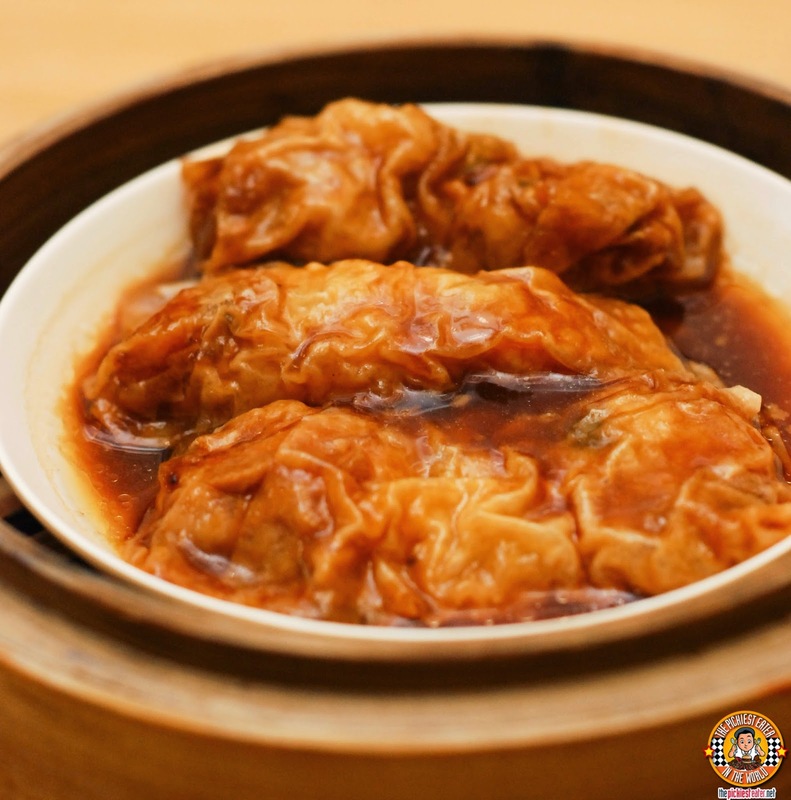 The minced shrimp and pork are tightly wrapped in beancurd skin, and doused in a thick, almost gloopey, sweet sauce that I also found myself smearing on the Siomai. I am genuinely addicted to Tim Ho Wan's Pork Rib with Black Bean Sauce (P120). 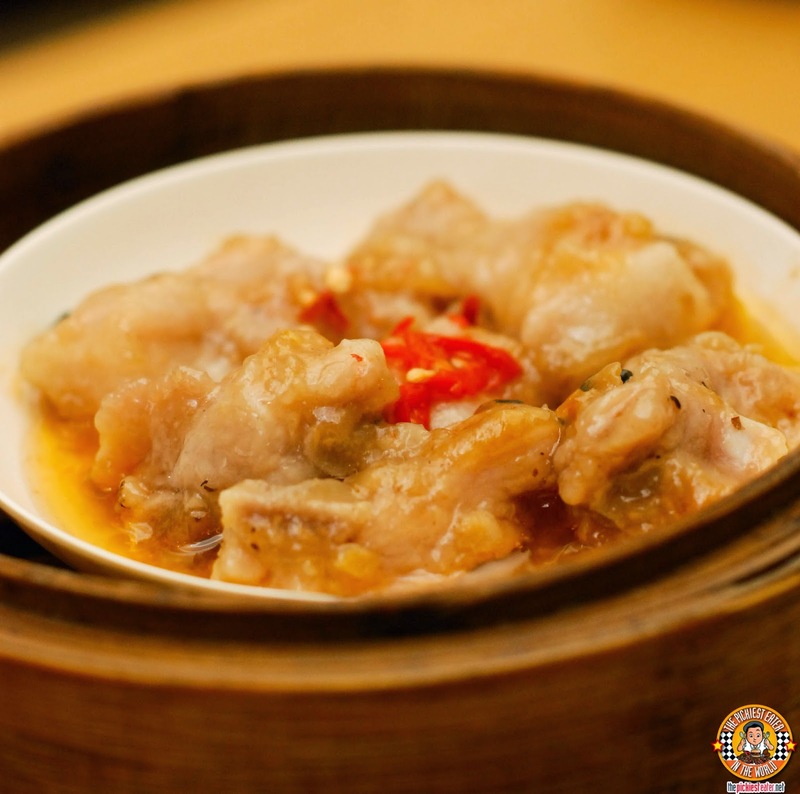 This is a staple for me Rina and I whenever we go to a Chinese restaurant, so we've tried quite a few in our time, and this one is definitely among the elite. 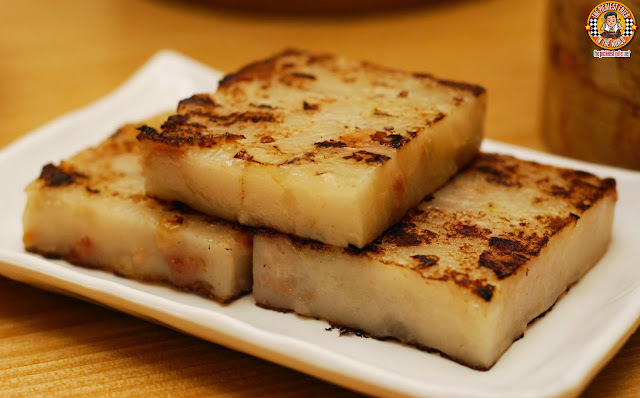 I'm usually used to my carrot cake with some kind of Cream Cheese Frosting, not Pan Fried, so you can say it's safe to say that I had no expectations when I tried the Pan Fried Carrot Cake (P145), which is also among Tim Ho Wan's "Big Four Heavenly Kings". Fortunately, this caught me pleasantly by surprise. 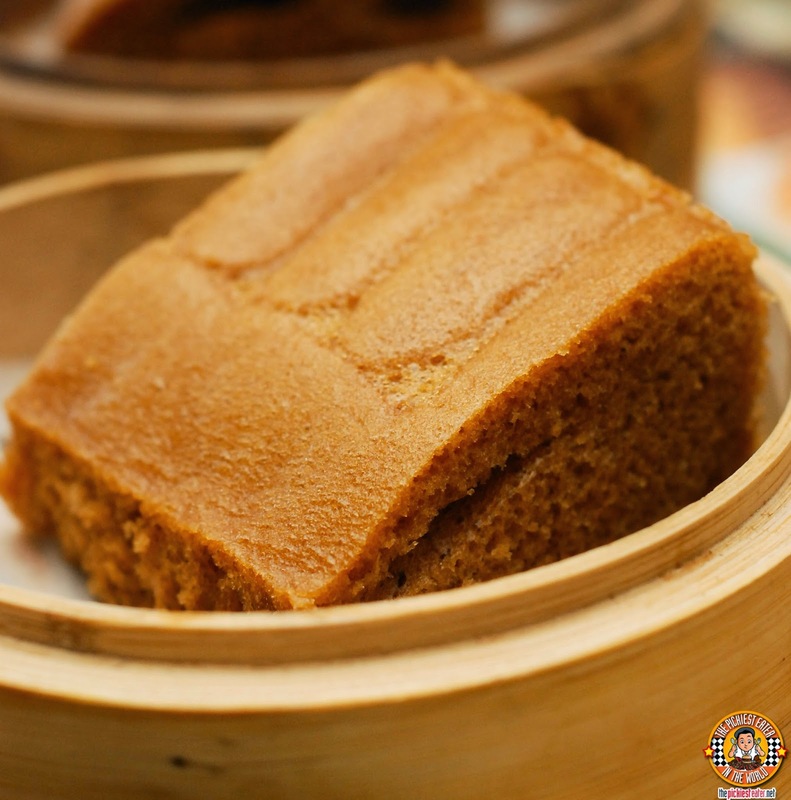 The smooth soft texture of the cake encases the subtle flavor of the minced vegetables in it, with the burnt edges giving off a gentle smokiness. I am a huge fan of dry noodles, which is why I found Stir Fried Chow Mein (P130) to be a welcome addition to the Tim Ho Wan Menu. 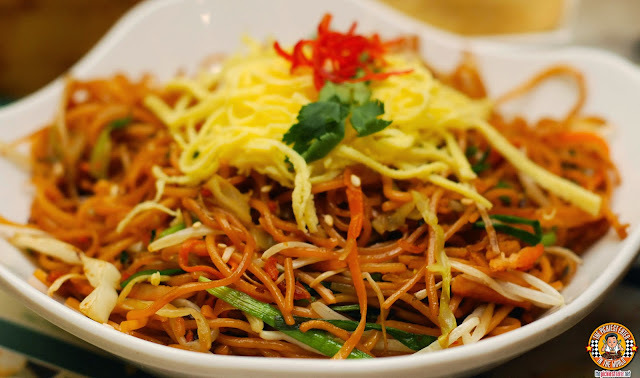 It's a simple, Stir fried noodles tossed with shredded meat and vegetables, yet I found myself going back for a plate a couple of days later. 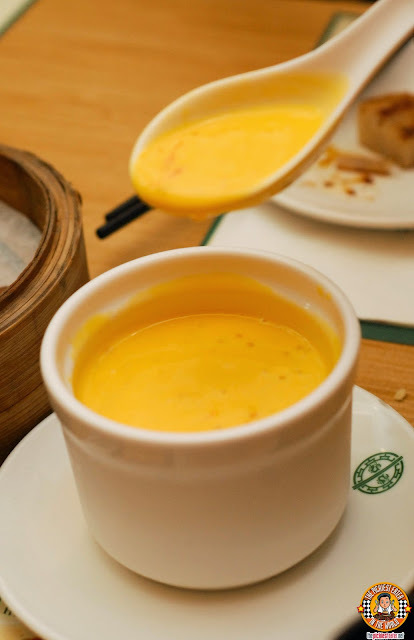 During my first trip to Tim Ho Wan in Megamall, I said that I could not comprehend why their Steamed Egg Cake (P85) was included as one of their "Big Four Heavenly Kings". During my return months later, it made more sense. Perhaps it was another case of "Birth Pains", but this time, the bland, tasteless cake turned into a soft sponge cake with a sweetness so light, you'll find your taste buds will demand for more. I will admit that the Tonic Medlar & Osmanthus Cake (P90) doesn't exactly have the sexiest, most enticing name. In fact it sounds like something straight out of the Star Wars Cantina. And even visually, it looks like the stuff aliens burst out of in the movies. 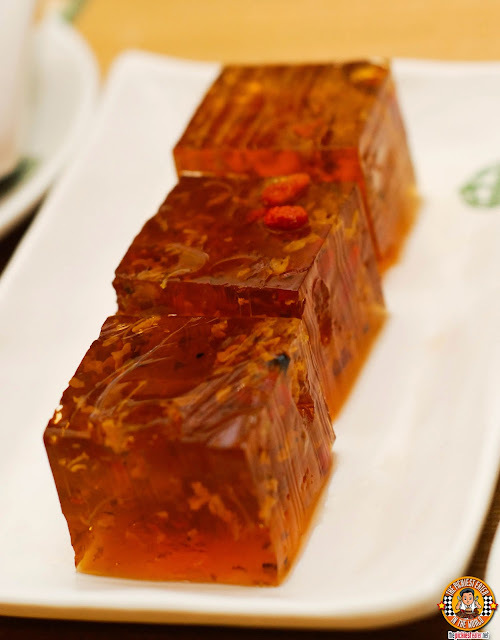 But when you take a bite of the soft, gelatin-like cube, you will discover a bold, almost floral like flavor, that manages to refresh your palate as well. Admittedly, it's an acquired taste, but definitely something you shouldn't be too intimidated to try. And finally, I tried the Mango Pomelo Sago (P90). This had a nice blend of sweetness and tartness from the mango, and a touch of bitterness from the Pomelo, swimming in a creamy sauce. It was quite delicious, but Hyper-Acidic people tread lightly.. Cuz my tummy paid the price for it afterwards. (Totally worth it). 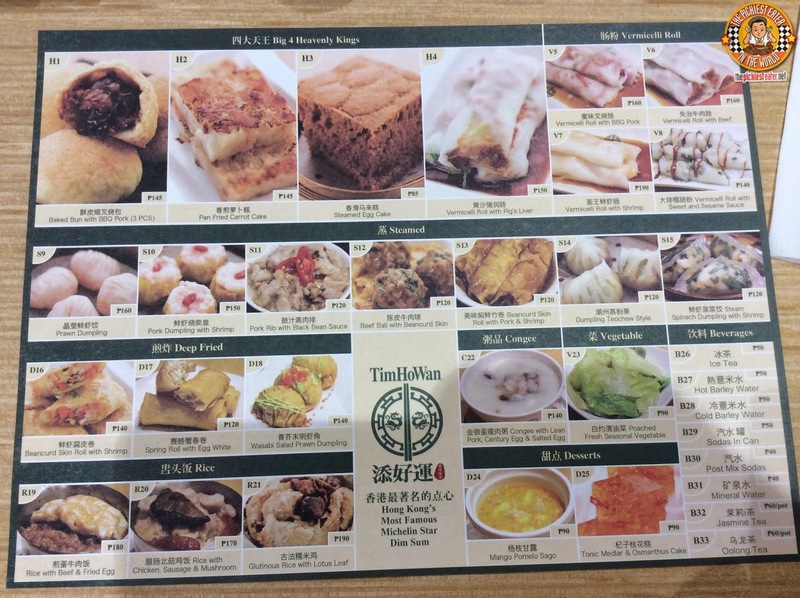 I've been back to Tim Ho Wan around twice since this return, and I ordered the Chow Mein, Pork Ribs in Black Bean and Pork And Shrimp wrapped in Bean Curd Skin both times! If you go during off peak hours, it's much easier to get a table, as opposed to the ridiculous long lines that you would have to endure when they first opened. 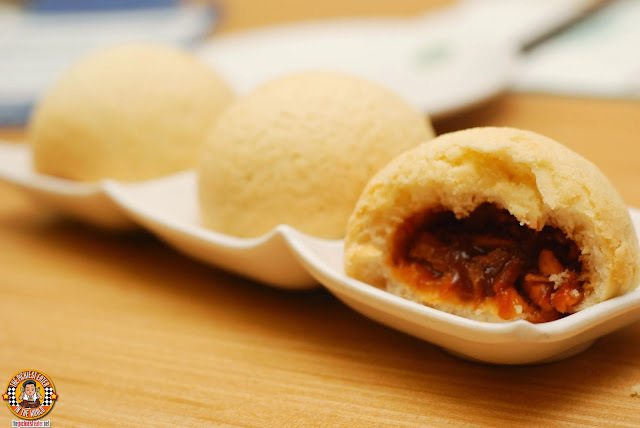 Tim Ho Wan is in my list of restos that I want to try because of that pork bun. My friends swear to it and reading you rave about it only heightens my desire to give it a try. When I do I will also order the pan fried carrot cake, which at first glance, I mistook for maja blanca hehehe... Also the mango pomelo sago, I'm not acidic so I can definitely go for it. The Pork Buns are stuff of legend, Marge! Haven't seen ya in ages! Hope you can make it to an event soon!